sent to clients 12 Aug Only a little reminding is needed that 29 July 2016 was the deadline for comments to Treasury on the forthcoming carbon tax offsets plan which Minister of Finance, Pravin Gordhan, has promised will come into effect 1 April 2017 with some saying it might even be as early as 1 Jan 2017. It was in 2014 that National Treasury published the first carbon tax discussion paper for public comment. 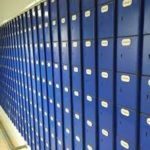 It was agreed the that such a tax would be phased in over a period of time, the first phase running up to 2020. The marginal rate was the envisaged at R120 per tonne of CO2 and during phase-one, a basic percentage based threshold of 60% will apply for tax offsets below which tax is not payable in order to assist with transition into the new scheme. Everything has been based on South Africa’s commitment to the Copenhagen agreement signed in 2009 to reduce greenhouse gas emissions by 34% by 2020 and 42% by 2025 – below the “business as usual” scenario. The motivation provided for the tax remains as “so the cost of climate change an be reflected in the price of goods and services”. 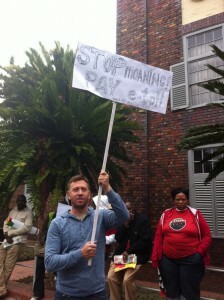 It was agreed that the tax would be administered by SARS. Since that date, whilst the pro and cons of such a tax caused heated debate in some circles as to whether an introduction of a price mechanism could influence consumer and producer behaviour, the inclusion of Eskom in the tax net left many feeling somewhat helpless due to the utility’s enormity. They added that the electricity increase impact had resulted in fact to a reduction in electricity and energy as a result and this, which coupled with reduced production and consumption, had inadvertently caused a reduction of greenhouses gases having already taken place, OUTA said. Of course, this remains totally unproven. Neither Cabinet nor Treasury/SARS have replied to OUTA’s call to note “unintended consequences”. No Treasury official it appears has felt that the Copenhagen Agreement can be dis-respected and have presumably felt that OUTA’s platform that a drop in national growth, due to global events and construction problems, has had little to do with the actual design of an overall process to cut carbon emissions over the next period of fifty years or so. The argument continues. Now the first phase of the tax offsets are being set in concrete with Treasury having called for comment on the final formula for the first phase of tax proposals, proposing, as before in the draft, that companies can reduce their liability for carbon tax by up to 5% or 10% of their total greenhouse gas emissions, depending on their sector, by investing in qualifying projects that result in quantifiable greenhouse-gas reductions. “Carbon offsets involve specific projects or activities that reduce, avoid, or sequester emissions, and are developed and evaluated under specific methodologies and standards, which enable the issuance of carbon credits”, SARS concludes. It is worth noting that tax legislation usually comes in the form of a “money” Bill which Parliament can debate but not amend. Should the debate raise issues, then Parliament can address Treasury who will, according to their dictates, reconsider and change if they alone see fit. The general feeling seemed to be from hearings was that this event had to happen in line with other established economies, although OUTA has remained strong on its views that Eskom as a major player in the energy mix is distorting the situation. The Treasury website has all the details of rules on which tax regulations will be based. sent to clients 20 February…. Tough words were used in Parliament when the Opposition to Urban Tolling Alliance (OUTA, now called Organisation Uniting against Tax Abuse) presented its views on e-tolling t o the Parliamentary Portfolio Committee on Transport, particularly of the idea to fund SANRAL of of the fuel levy. In the end Wayne Duvenage, OUTA Chairperson, was told by the Committee that the only way forward was that OUTA and the SA National Road Agency (SANRAL) get together and negotiate a compromise. The view of ANC members was perhaps more clearly demonstrated by one MP who stated that the user-pays system had to be retained, since the poor could not afford the costs of freeway development being absorbed into the fuel levy, as was proposed by OUTA. She explained quite simply that if you could afford a car licence and petrol in the first place, one must pay for e-tolls, otherwise the e-tolling would be added to the price of sugar and soap through the fuel levy because of distribution costs. At the time, members were not aware of the forthcoming fuel levy increase in the Budget. Whilst ANC members agreed with OUTA that the Gauteng e-toll scheme as currently imposed had not been a great success, it was considered unlikely that Parliament would even consider halting the programme as such and would not encourage a switch to levy funding. A way of making e-tolling a success had to be found, they said. The main platform of OUTA’s complaints was the issue of poor public engagement and an “arrogant imposition” of the programme which had been badly thought out, they said. Wayne Duvenage claimed that the argument that an increase in road levies would hurt the poor was hypocritical since government has themselves had increased the fuel levy by 92% over 8 years. OUTA held that e-tolls amounted to extortion and the fact that none of the 46,000 exempt Gauteng taxis had fitted e-tags suggested that the scheme was being shunned, even when free. They reminded MPs that the High Court had set aside the interdict granted to SANRAL that further discussions had to take place before e-tolling commenced on the basis that SANRAL could start but a door had to be left open for a collateral challenge from society. This was now the case. OUTA complained also that and that there were no adequate alternatives to easing congestion as required and that the Competition Commission had found the relevant construction companies guilty of collusion. Yet earlier, SANRAL had claimed that there was nothing untoward about construction costs before the Commission’s findings. MPs said they wanted to know more about this and there would be a follow up by Parliament. Currently, Duvenage said, compliance stood at about 9%, which was vastly unfair to those paying. (This meeting took place before it was discovered that in all likelihood the remaining 91% had the slate of outstanding fines wiped clean). Duvenage warned that coupling licence renewals with e-tolling compliance “was an invitation for public resistance” and not encouraged by OUTA since it would destroy the basis of the AARTO Act and the foundation of road governance. OUTA called for the e-toll principle be halted in practice overall and that an “exit strategy” be planned for existing contracts. OUTA was reminded by Chairperson Ramakatla that the Commission of Enquiry into e-tolling had not advised that the user-pay principle be discarded. The response from OUTA to the chair that it was not the right tax mechanism to be used and was also unfair. Users were already paying for road use through fuel levies and taxes. M de Freitas (DA) said it seemed at the time likely that Gauteng as a Province would oppose e-tolling and to head off the licence fees confrontation, OUTA and SANRAL had to appear at the same meeting and talk of compromise to avoid this happening. Such a confrontation would be disastrous for the country at a difficult time. OUTA defended themselves by saying that they did not support anarchy and had not stated ever that they were in agreement with e-tolling, their argument being that it was not the right mechanism at all, so it would difficult to find a compromise on e-tolling as a programme. Wayne Duvenage added he never went as far as Mpumalanga but the e-toll system charged him for freeway building in that part of the world. However, he said, he was already paying for un-tolled Mpumalanga roads through his normal tax, in fact any roads. Chairperson Ramakatla told OUTA that although agreement had been expressed that people had to pay for road use, the OUTA response seemed to be saying something else and their argument that there had to be sole reliance on the fuel levy was not acceptable. If there was something wrong with the e-tolling system in their view they should make suggestions how to get it right but the fuel levy option was clearly out. Whilst OUTA had submitted that there was a lack of consultation in 2007, and this was probably true, he said, the lack of consultation was later corrected and that argument no longer applied and this should be borne in mind if a resolution to the problem was to be found by stakeholders. He said that Parliament would decide on its view on the e-toll issue in further debate. OUTA seems to have forgotten Parliament…. The decision by the Opposition to Urban Tolling Alliance (OUTA) to spend many hundreds of thousands of rands of public money to obtain a judgement from the North Gauteng High Court to set aside e-tolling on the basis that legislation making e-tolling possible was not debated in the proper manner seemed at the time a little odd when OUTA did not itself make a submission to Parliament on the legislation or accept a debate with portfolio committee on transport when invited to do so. The fact that the decision by the Gauteng High Court has been reversed still excludes Parliament which seems to be yet another example of living with the belief that the world ends at the Jukskei River. OUTA seems to be unaware of the fact the Transport Laws and Related Matters Amendment Bill is a national Bill which has been tabled; the matter is a national issue and that Parliament is the home of an independent parliamentary debating process surrounding the anchor legislation, whatever inputs may come from SANRAL, OUTA, the minister of transport or threats from COSATU. 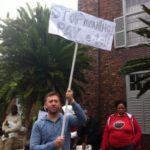 According to the records produced at a meeting of the portfolio committee on transport to finally debate and approve the Bill, the committee spent nearly R200,000 on advertising the request to “Have Your Say” on the Bill, the normal insertions for a Bill known to be contentious. The record also shows that most of this spend was on national dailies and the weekend press, as it so happens mostly printed in Gauteng. The scurrilous suggestion by COSATU that no such advertising took place was a lie, possibly placed by COSATU to influence OUTA, and reflects the fact that COSATU knows full well that Parliament was the home for such debate. That’s why COSATU was there in full strength, one of two parties who bothered to appear in Parliament. BUSA failed to appear in person, submitting comments in writing, which kind of submission becomes a very watered-down affair. The fact that the South African Local Government Association (SALGA) did make a full submission (and a very good one) and succeeded with an effective amendment that whenever and wherever a toll is built a full debate must take place with the municipality or local authority, was accepted by Parliament. Which seems to prove a point. Also the Bill was re-worded to the effect that alternative routes around the affected toll road are to be demarcated. Well done SALGA. COSATU’s own suggestion to stop e-tolling on the basis of selection against the poor with no constructive suggestions as to how national roads were to be future-funded led to a rejection by members of the transport committee. SALGA concluded in their submission that a lot more work needs to be done on advising the public how e-tolling works; advertising on why it is necessary; pricing structures to be seen visually on approach; what any alternative routes are; what the discounts are about and how and when to buy an e-tag and if it is always necessary. SANRAL, who were present at both the hearings and subsequent debates accepted privately this advice given by SALGA to the satisfaction of the portfolio chairperson and although SANRAL had no speaking role in the subsequent legislative debate, once again their presence was felt. Even the parliamentary portfolio committee admitted in conclusion when the Bill was approved that nobody really wanted e-tolling but were clearly angered by the OUTA and COSATU suggestion that “nobody was informed on the Bill” and even more curious to know why OUTA itself was nowhere to be seen in Cape Town. Presumably the Bill will go to the National Assembly now that Parliament is re-assembling and concurrence eventually sought from the National Council of Provinces. Presumably also OUTA is hoping that the Supreme Court of Appeal, where the matter is now headed, will instruct the minister to withdraw the Bill. Changes made after parliamentary hearings. Department of transport spokesperson Tiyani Rikhotso told a media briefing on e-tolling ecently that the portfolio transport committee was to completed two days of public hearings on e-tolling and the Transport Laws and Related Matters Amendment Bill in Parliament. As a result Parliament has given notice for the matter to be brought before National Assembly with certain further changes scheduled. In hearings that took place within the portfolio committee on transport under Adv Johnny de Lange as chair the Bill was adopted in debate, although opposition members abstained from voting in favour since caucus support on what was considered by them as possible and reasonable could not be approved in the light of time restraints, this being the reason given. The Bill, subject therefore subject to final approval by Parliament still stands, as does the issue of e-tolling on a national basis. “The matter has been postponed for for further discussion”, Rikhotso said, referring to the fact that the NA had yet to agree or not to the withdrawal of the Bill or whether more changes were to be accepted brought forward by the portfolio committee as a result of public hearings which took place and further possible debate. Issues at the public hearings with regard to e-tolling mainly involved the practical application and whether SANRAL was exceeding its mandate. Only two oral presentations were heard although some ten papers or submissions were circulated, including one from Business Unity SA. What is clear, however, is that despite all the argument and debate, the actual process of e-tolling will be hard if not impossible to undo. The oral hearings included a South African Local Government Association (SALGA) submission presented by Mthobeli Kolisa, executive director of municipal infrastructure services, South African Local Government Association (SALGA) and also from Ms Jane Bennett, affiliate support coordinator, COSATU. No oral submissions were received from OUTA, although it was unclear if written submissions were made. SALGA said its association of 278 municipalities was primarily trying to achieve the objective of ensuring that the legislation would provide for studies on the impact of the diversion of traffic from proposed urban tolled roads into local roads. These studies must address the likely congestion and resultant costs of road maintenance and traffic management, and access to opportunities for life on the part of affected communities. The studies, they said, must form the basis for decision making regarding whether or not to toll a road, and to determine what mitigating measures were needed to address the negative impacts if the tolling was to go ahead. Whilst SALGA supported the proposed bill it wanted to see additional clauses that also affected the mandate of the South African National Roads Agency Limited (SANRAL) and National Roads Act which called for the minister’s approval for any declaration in partnership with affected municipalities. These had to include in their view studies on the likely impact of the contemplated road tolling on communities’ access to livelihood opportunities; local roads in terms of diversion and related maintenance and traffic management costs and for such studies to be used as a basis for public consultations and such conditions had to be written into the proposals, SALGA said. Bennett of COSATU was of the opinion that without the Bill, the e-toll would not be able to proceed and suggested strongly to parliamentarians to take the decision to reject the Bill. She said the issue of a Bill to make e-tolling possible had been rushed through as an afterthought, just to make the matter legal and that it ran counter to a number of basic principles of law, not the least the National Credit Act. COSATU maintained there had been “little sincerity in the consultation” and tolls like the Gauteng Highway Project and others in the country, no doubt to follow, would add a huge burden to the already impoverished poor. There was also a suggestion of profiteering, she said. However the overall feeling of the portfolio committee was that the COSATU suggestions were insufficiently persuasive to halt national road development on a user pays basis. COSATU raised issues surrounding the application of the provisions of the Cross- Border Transport Road Agency and the lack of restrictions on how tariff increases would be applied in future. COSATU strongly objected to the parliamentary procedure involved and which had excluded input from the provinces, meaning that the Bill had been tabled as a section 75 Bill which does not call for provincial hearings and mandates through the NCOP. At the hearings, both the South African National Roads Agency Limited (SANRAL) and the Department of Transport (DOT) questioned the amendments sought by SALGA. They stated that the SANRAL Act already required SANRAL to inform all affected municipalities about the tolling of a section of national roads, and that this already catered for SALGA’s request. From parliamentary papers it appears that the Transport Laws and Related Matters Amendment Bill could have been withdrawn from the National Assembly order paper at the last minute before the discussions but despite this fact, subsequent debate did in fact take place place and approval by the portfolio committee on the Bill was obtained by a majority vote. This means that whilst the legislation may be amended, e-tolling itself as a process will probably roll on providing concurrence of the National Council of Provinces is agreed in early 2013. Parliament’s deliberations on the bill in the NA will continue in the New Year it is presumed after Parliament reconvenes on February 10, and the future of the legislation as it stands then debated further. In the meanwhile the debate will no doubt rage on at community level. The difficulty could well be that the amendments sought by SALGA and perhaps by the portfolio committee after deliberations could affect the anchor legislation itself and more than one piece of law. In a cabinet statement this week cabinet made it clear by approving the Transport Laws and Related Matters Amendment Bill for tabling in Parliament that the e-tolling development generally and particularly on the project known as the Gauteng Freeway Improvement Project (GFIP), was going ahead. The heart of the matter remains the electronic toll collection system and the new Bill will give the South African National Roads Agency Limited (SANRAL) the full enforcement powers it needs to ensure payment of tolls. Between the new Bill, SANRALS’s own founding legislation and National Roads Act, all put together, allowed Ben Martins, minister of transport to consider that SANRAL will eventually be in sufficient compliance to both enforce and administer e-tolling. In a meeting a few weeks ago, the Urban Tolling Alliance (OUTA) and the newly formed Inter-Ministerial Committee (IMC) on the Gauteng Freeway Improvement Project (GFIP), OUTA all agreed that the national fuel levy continue to be used to fund freeway improvements since this was the established and fair procedure for road development. The OUTA delegation included the South African Vehicle Rental and Lease Association, the Automobile Association, the South African National Consumer Union, Investment Solutions and the Retail Motor Industry, led by Wayne Duvenage. 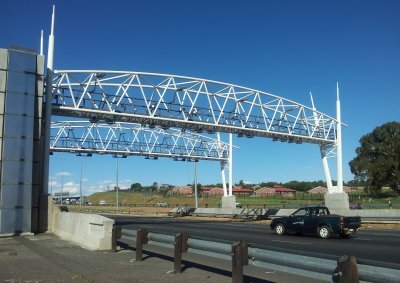 Nobody disagreed on the need for users to pay for road improvements; the need to decongest the country’s roads; and the need for more efficient public transport but focus again fell on the method of funding use, i.e cameras on e-toll gantries whether e-tolling as a procedure would solve congestion. 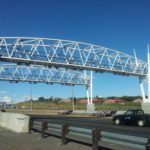 OUTA welcomed the GFIP it said at the time and commended the South African National Roads Agency Limited (Sanral) was a well-managed road building entity but argued that e-tolling was not efficient or effective as a funding mechanism in itself. Where OUTA disagreed was that the existing national fuel levy be used to fund freeway improvements in view of the current use of the levy to build and maintain roads countrywide. Government has always stressed the need that whatever happens, users had to pay and and it appears that the ministry was far too far down the e-tolling contractual development of building to wish to alter its course, aside from any policy decisions on the matter.